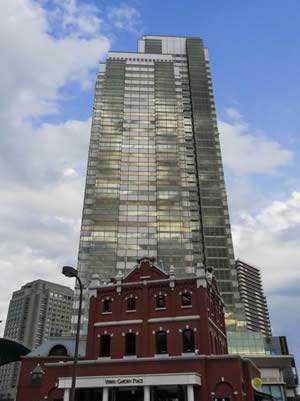 The 39-story Yebisu Garden Place Tower. The building on the left background is the Westin Hotel Tokyo. Synonymous with the Yebisu brand of beer, Yebisu Garden Place started out as an urban redevelopment plan for the former site of a Sapporo Beer brewery that was located here. Completed in 1994, the headquarters of Sapporo Beer which owns Yebisu still has its headquarters here. Sights include the Yebisu Beer Museum and the Tokyo Metropolitan Museum of Photography. One can also find many fancy shops, renowned restaurants, Mitsukoshi Ebisu, and the Westin Hotel Tokyo here. There is also a high-rise office building, the 39-story Yebisu Garden Place Tower, complete with some classy restaurants on the 38th and 39th floors. Since it’s not much of a business district, there aren’t as much visitors here on weekdays as there are on holidays and weekends. Museum of Yebisu Beer. Admission is free. 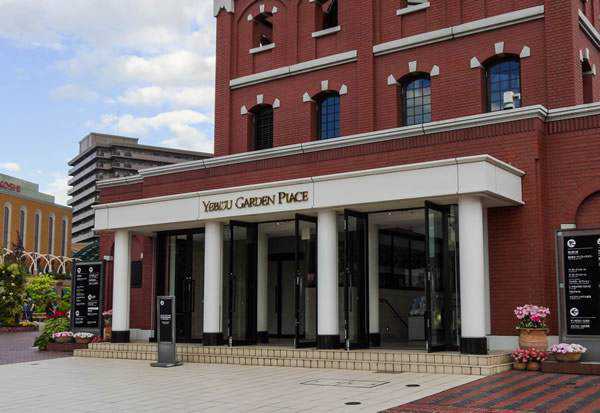 Yebisu Garden Place can be accessed from Ebisu Station via rather long skywalk. This is an IFRAME for Google Maps. Yokohama's Chinatown is the largest Chinatown in East Asia and is home to around 2500 Chinese. Here, you'll find countless Chinese restaurants, serving everything from Guangdong to Beijing, Szechuan to Shanghai cuisines. Unauthorized use of this material without written permission from Tokyoblaze is strictly prohibited. Excerpts and links may be used, provided that full and clear credit is given to Tokyoblaze with specific direction to the original content.